By definition, an investment property is a place that has one simple goal – generating income for the owner, thus, selling investment property in Lakewood is not the same thing as selling your residential home. Since you have made a choice of selling investment property Lakewood, a property that has been generating you some income, your top priority should be to maximize the profits. The major difference between selling investment property and selling a home comes in terms of taxes, but as for the selling process, it remains the same. You may have to hire a listing agent to market the property and show potential buyers around. So, before you make the final decision to sell your rental house, for instance, here are a few things to consider. Do you really need to sell your investment property? As pointed out, an investment property is a place whose goal is to make money. So, are you really going to sell it, especially since there are several other options on the table, such as renting out? When you rent out an investment property, you are guaranteed of steady income. Unless you have a very good reason for selling investment property in Lakewood, you’d rather hold onto it. But what are these “very good” reasons? A changing neighborhood. If the neighborhood is changing and suddenly it’s become hot, it could be the best time to sell your property, especially if you’ve already made a good fortune out of years of ownership. The story is the same when the hood is deteriorating. This way, you can be out before it’s too late and you won’t lose money. Ugly or wrecked houses. Maybe you’ve just inherited rental property from your folks and when you take a trip across the country to come and see it, you find it looking ugly or even wrecked beyond repair. What do you do? Unless you can afford to repair the house or do a complete overhaul in cases where repairs won’t work, there’s no reason to think twice about selling such an investment property. When selling the property, however, make sure you remember to disclose all you know about the property. Remember, what you honestly don’t know won’t hurt you. The property has become a tax liability. Owning an investment property can have a massive impact on your tax bracket. If the tax liability becomes unmanageable, you have a reason to sell the property. Remember, if there is someone already occupying the investment property, you need to notify them of your decision to sell. In fact, you might just have your first offer for the property from them. Better returns. If you think that selling your investment property in Lakewood will make you the money you need to diversify into a new neighborhood or line of business that promises much better returns, why not sell? While the decision of selling investment property might have been made, you still have no idea about who will buy the property in question. As pointed out, this is not a residential house and as such, it’s not that easy to find a buyer willing to pay for an investment property. This gets even worse when you need the money to be paid in full – and in cash. A real estate agent can help you find a buyer, but this requires time and money. If the property needs repairs, for instance, it’s your job. If a potential buyer wants some specific renovations done before they can make you an offer, it’s your job. But what if you don’t have the money and time for all this? With house buying companies, your property will be paid for in as-is condition. 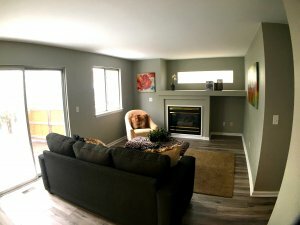 If you are selling investment property Lakewood, you don’t even need to touch anything. All you have to do is call Denver Property Flip on (720) 370-9595 and you’ll get an all-cash offer within 24 hours. If we can strike a deal, the money will be in your account after just 5 days.